For private employees who don’t have workplace plans, Connecticut will now have a state-sponsored plan to save for retirement. Unfortunately, what could have been a useful program was severely weakened with changes required by Governor Dannel Malloy in the face of fierce financial services industry lobbying. In 2014 labor, senior, and progressive organizations lobbied the legislature to set up a state-sponsored retirement savings program to address the growing retirement crisis, a component of which was that half of the Connecticut’s private labor force lacked employer-sponsored plans. Over financial services industry opposition the bill narrowly passed. The first step mandated by the bill was to establish the Connecticut Retirement Security Board, on which I served. Its task was to study the issue and design a program that would then be proposed as a new legislative bill. Continue reading “Connecticut Governor Malloy’s Changes Weaken New Retirement Program. The possibility of Bernie voters becoming Trump voters was first thought to be because of their common critical positions on free trade agreements which have hammered working people. Bill Clinton as president was responsible for the passage of the Republican-initiated North American Free Trade Agreement. Hillary Clinton as Secretary of State promoted free trade agreements with Colombia and the Trans-Pacific Partnership. Hillary Clinton as candidate has reversed herself but is not trusted. Barack Obama after all ran against NAFTA in 2008 and then as president promoted free trade agreements. Donald Trump as candidate seems to have learned from Obama that free trade agreements are unpopular with voters and has implied opposition. As president, though, I have no doubt that he would bend to the Republican orthodoxy and support them. If there’s one thing the corporate elites are unified in wanting strongly, it’s more free trade agreements which they see as padding their bottom lines. And they expect presidents, whether Republican or Democrat, to get them for them. Now it appears that there will also be Bernie voters who spurn Hillary for Trump simply because they like him more than her or dislike him less. For them voting is less an act of rational choice than a personality contest. Throw in a dose or more of misogyny and you see some of the problems confronting Clinton’s campaign staff as they transition from beating back an unexpectedly strong primary challenge to her left to confronting another unexpectedly strong challenge, this time to her right in the national election. Immigration and free trade agreements remain potent issues in the primaries and no doubt will reemerge in full force in the November election. But no one seems to be drawing the connection between the two. The Republican candidates have been competing with each other over who is toughest in keeping illegal immigrants out. The Democratic candidates have been competing over who has a better, more humane, approach to comprehensive immigration reform and resolving the problems of undocumented workers and their families. Twenty-one years after its enactment in 1994, the North American Free Trade Agreement remains a dirty word in rust belt states, blamed for exporting living wage jobs and hollowing out communities. Many Americans assume that Nafta gave away jobs to the benefit of Mexico. They would be surprised to know that the trade agreement remains as deeply controversial there as it is here. The president, Carlos Salinas de Gortari, who negotiated it is the most reviled in recent Mexican history. I was working at a research institute in Mexico City when Nafta was being negotiated. Our task was to predict its likely impact—universally touted as favorable by corporate and political elites in the United States, Mexico and Canada. A favorite formulation, repeated by President Salinas de Gortari, U.S. ambassador to Mexico John Negroponte, and U.S. presidents George H.W. Bush and Bill Clinton was that with Nafta Mexico would stop exporting workers and instead export products. How Good is TSP–the Federal Employee Retirement Plan? In a recent article, Helaine Olen found something good in Marco Rubio’s campaign: his advocacy that employees without workplace retirement plans be allowed to join the federal employees Thrift Savings Plan. A former financial advice columnist, Olen in her wonderful book Pound Foolish revealingly exposed the hucksters of the financial self-help industry. They make their money, and lots of it, not from following their own financial advice but rather by telling others what to do. When the wary Olen is impressed by a financial plan, such as TSP, it says something. What impressed her most was that TSP charged very low administrative fees of only .029 percent of account balances, much lower than other 401(k)-type plans like it which charge as much as 2% or 69 times more and thus take much more out of savings accumulations and future retirement income. It was, in her estimation, a model plan that should be accessible to more than federal employees. The Rubio campaign, for its part, seems to have backed off on the proposal, probably because of opposition from the financial services industry’s Investment Company Institute and the Republican-affiliated Heritage Foundation. But is TSP that good? To continue reading, click How Good is TSP? This is a story to make you weep. Several years ago a Portland, Oregon public schools retiree hired financial adviser Shayne Kniss to help him with retirement planning. The retiree would seem to have had no need for Mr. Kniss’s services. He already had a guaranteed life pension coming from his years of public service. But Kniss talked him into cashing out the guaranteed pension and turning the resulting $729,000 into an investment account in his Iris Capital firm. Kniss confidently estimated 8-12% returns, which would have been higher than the guaranteed pension payments. You can guess where this story is going. Last September, as reported in The Oregonian, the retiree’s $3,500 payments stopped. Iris Capital was tanking. Most of its $5 million capital, collected from 50 people like the public schools retiree, had been invested in a shaky real estate flipping operation that was collapsing. Strengthen or Expand Social Security? President Obama called for strengthening Social Security in his 2016 State of the Union address. In choosing the verb “strengthen,” he dodged taking a position within the Democratic Party’s increasingly central debate over expansion of Social Security. Had he chosen “expand” rather than “strengthen,” he would have sided with Bernie Sanders and other progressives. By stopping short of expand with strengthen, he placed himself either with Hillary Clinton’s hedging of the issue or in a state of ambiguity. One can be sure that his speechwriters, vetters, and he chose the word carefully. This was not just semantic quibbling over election-time rhetoric. Behind it lies a fight in the Democratic Party mirrored in the Hillary vs. Bernie primary race over whether to continue to compromise with Republican regressive domestic policies or to return forcefully to the New Deal legacy of which building on the success of Social Security is key. What to do with Social Security—to trim it back or build it up more–is one of the litmus tests that divide the progressive from the corporate wings of the party. Strengthen and expand in these contexts are code words for the politics of Social Security. To continue reading, click Strengthen or Expand Social Security? It sounds great, to be in control of your retirement plan. To make the investments you want to make when you want to make them. To be in control of a plan that has the flexibility to meet your particular retirement needs. And Americans now have more choice than they’ve ever had with their retirement plans. It was given to them by the massive shift in the private sector from traditional pensions to 401(k)-like plans. With traditional pension plans participants have no direct say over how plan assets are invested. With 401(k)-like plans, they have much more say. That is an appeal proponents of Social Security privatization are also making. Privatization would mean investment freedom. Instead of assets being invested in low yield treasury bonds, as they are now, participants could choose among Wall Street’s myriad products to maximize their gains. Having the freedom of choice sounds like a universal value that no person in her or his right mind would want to relinquish, especially when it comes to something so important for the future as a retirement plan. But has that freedom of choice brought more retirement income or security? The answer is a resounding no. 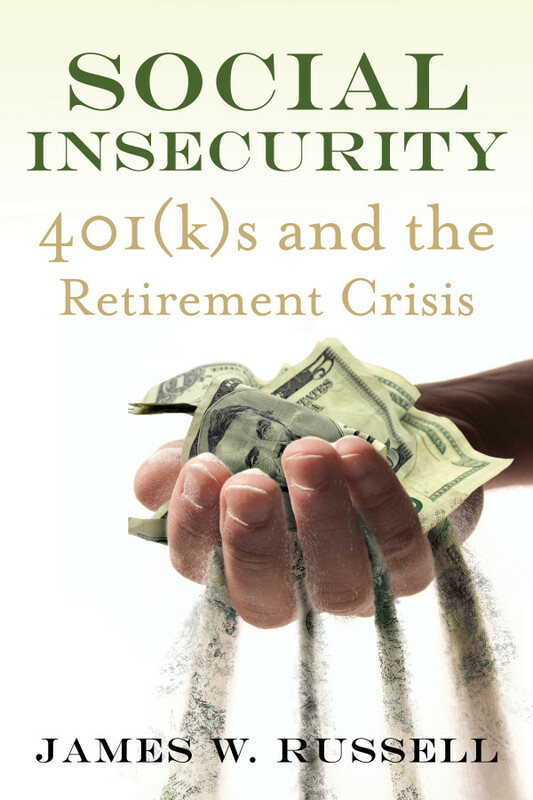 We are in a growing retirement crisis precisely because 401(k)-like plans which maximize individual choice have come nowhere close to matching the retirement incomes of the traditional pensions they replaced. The New State Retirement Plans, Will They Be Enough to Resolve the Retirement Crisis? Responding to the retirement income crisis, half the states are in various stages of developing plans for employees without workplace plans beyond Social Security. Will these plans be a “game-changer” as claimed by Angela Antonelli, executive director of the Center for Retirement Initiatives at Georgetown University’s McCourt School of Public Policy? Or will they deliver more the illusion than reality of future retirement security? I serve on the board of one of these—Connecticut. I am also a critic of the type of approach that the plans share—relying on individual invested savings to provide enough income during retirement. The common idea of the plans is that employers would deduct 3% of employee pay to be placed in retirement investment accounts. Employers would not contribute. Essentially these would be state government-sponsored Individual Retirement Accounts. There are a lot of questions to be settled. Who will administer the accounts? Will individuals direct the investments or will professional investors? Will the states act as mere pass throughs, facilitating the collection of employee savings that will then be managed and profited from by the private financial services industry? Or will states attempt to set up true public nonprofit retirement savings options that compete favorably with what the for-profit private sector has to offer? The biggest question is, will the plans work? Will they resolve the retirement crisis by providing enough future income to ensure retirement security? You are currently browsing the James W. Russell blog archives.